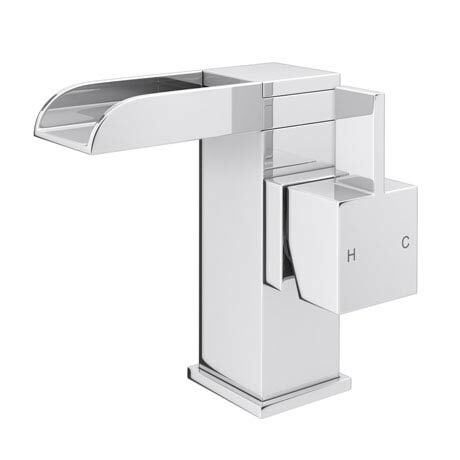 A stylish modern waterfall mono basin mixer, part of our range of designer bathroom taps. Features a minimalist square body with matching side action lever handle and a Waterfall effect open spout. Manufactured from solid brass with a shiny chrome finish. It's contemporary design will bring a touch of sophistication to your bathroom. Supplied with a slotted brass click clack waste. Impressive tap and looks great.